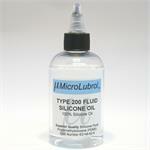 MicroLubrol 200 Silicone Fluid is a polydimethylsiloxane (PDMS) polymer fully equivalent to Dow Corning Xiameter PMX-200 Silicone Fluid and DC 200 Fluid. 100% Pure Silicone Oil. Made in USA. 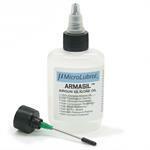 MicroLubrol™ ARMASIL™ AIRGUN OIL is a truly high-performance 100% silicone oil. 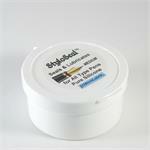 100% Silicone Oil - NO petroleum distillates or ANY additives, solvents or propellants. 1oz. 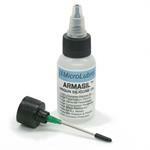 MicroLubrol™ ARMASIL™ AIRGUN OIL is a truly high-performance 100% silicone oil. 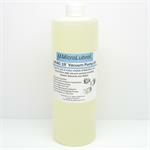 100% Silicone Oil - NO petroleum distillates or ANY additives, solvents or propellants. 2oz. 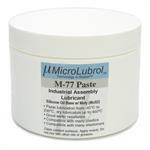 MicroLubrol ML-870 is a fluorinated grease, formulated with Perflouoropolyether (PFPE) oil, Polytetrafluoroethylene (PTFE), and a corrosion inhibitor. TUNGSTEN DISULFIDE POWDER, ULTRA FINE GRADE, 0.5 micrometers (microns, µm) average particle size. The finest grade for lubrication. In a CONVENIENT, RESEALABLE plastic SQUEEZE bottle w/ factory sealed applicator top. 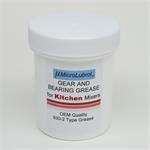 MICROLUBROL™ Gear and Bearing Grease is a grease suitable for gear mechanisms in kitchen food processing equipment. 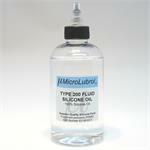 MicroLubrol™ Gun Protectant Oil 100% Silicone Oil SAFE for ALL METALS 2oz. 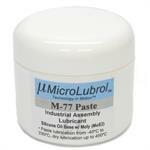 MicroLubrol™ Gun Protectant Oil 100% Silicone Oil SAFE for ALL METALS 4oz. 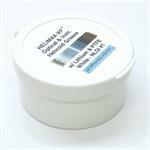 THE OPTICAL INSTRUMENT AND CAMERA HELICOID GREASE YOU HAVE BEEN WAITING FOR! 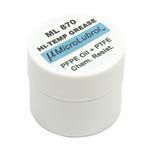 MicroLubrol™ HELIMAX-XP™ The Extra-Performance Helicoid Grease. 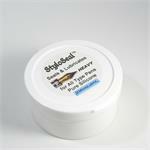 MicroLubrol™ Hexagonal Boron Nitride hBN Powder Fine 2.5 micrometers, 1 oz, 28 grams. 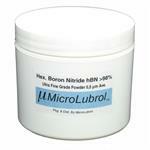 MicroLubrol™ Hexagonal Boron Nitride hBN Powder Fine 2.5 micrometers, 2 oz, 57 grams. 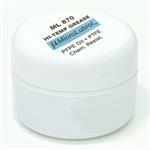 MicroLubrol™ Hexagonal Boron Nitride hBN Powder Fine 2.5 micrometers, 4 oz, 114 grams. 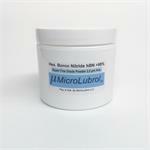 MicroLubrol™ Hexagonal Boron Nitride hBN Powder Fine 2.5 micrometers, 8 oz, 227 grams. 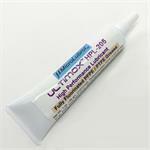 MicroLubrol™ HEXAGONAL BORON NITRIDE hBN Powder ULTRA FINE 0.5 µ micron, 1 oz, 28 grams. The finest grade for lubrication. "Fluffier," more flowable and better for tumbling than higher micron grades. Refined hydrocarbon oil for most common vacuum pump applications. 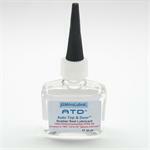 Molecularly distilled for reduced backstreaming and excellent vapor pressure. Ideal for use in BOTH Belt-Driven and Direct-Drive vacuum pumps including Welch, Alcatel, and Edwards. MicroLubrol™ Lubrezzo™ is the recommended lube to use in your Espresso Machine rebuild as well as maintenance on your Piston Rod Seal. 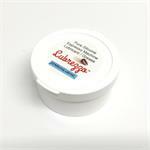 A multipurpose, extreme pressure lubricating paste that can be used over a wide temperature range. It contains over 60 percent molybdenum disulfide lubricating solids in a Lithium soap thickened ultra-high performance silicone fluid. 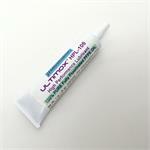 OMNIFLON™ XDL™ PTFE Dry Lubricant Powder, 2 to 3 microns (micrometers, µm) Average Particle Size (APS). 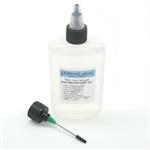 Superior Performance for Dry Lubrication. 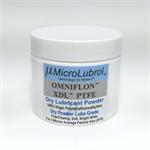 1 ounce (1 oz., 28.3 grams by weight) MICROLUBROL OMNIFLON™ XDL™ PTFE Dry Lubricant Powder. 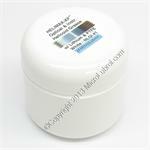 2 ounce (2 oz., 56.7 grams by weight) MICROLUBROL OMNIFLON™ XDL™ PTFE Dry Lubricant Powder. 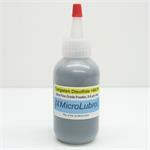 4 ounce (4 oz., 113.4 grams by weight) MICROLUBROL OMNIFLON™ XDL™ PTFE Dry Lubricant Powder. 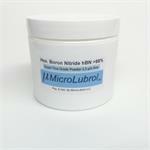 8 ounce (8 oz., 453.6 grams by weight) MICROLUBROL OMNIFLON™ XDL™ PTFE Dry Lubricant Powder. MicroLubrol™ Rod Lightning™ is resistant to fresh and salt water, steam, heat, cold, chemicals, etc. The grease formula in Rod Lightning™ has been rated as safe for incidental food contact, and has an N.F.P.A. Fire/Health Hazard rating of "0". MicroLubrol™ StyloSeal™ HEAVY Consistencyis a very high quality, very pure 100% silicone grease that offers superior sealing and lubrication performance in fountain and eyedropper pen applications. 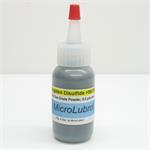 MicroLubrol™ StyloSeal™ MEDIUM Consistencyis a very high quality, very pure 100% silicone grease that offers superior sealing and lubrication performance in fountain and eyedropper pen applications.